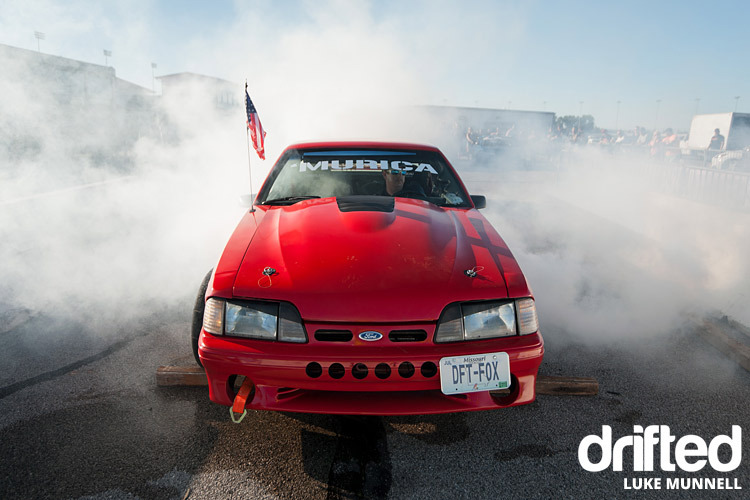 Drifted was on hand to capture the madness at Street Driven Tour – St Louis! 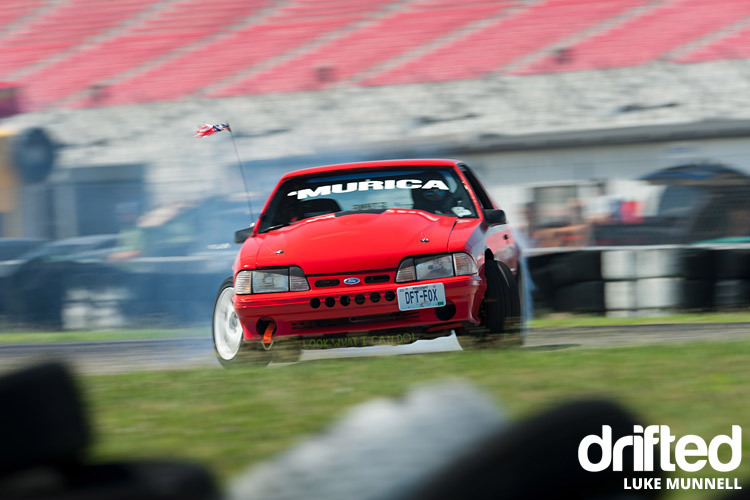 Landing just one week before Formula Drift’s annual Seattle round and two weeks before Midwest Drift Union’s pro-am bout at PA’s Lake Erie Speedway, pro and amateur drifters alike had two very valid reasons for saving their cars and tires and opting out of Street Driven Tour’s third-annual Midwest drift bash in St. Louis. But did they ever take a chance on a good time! 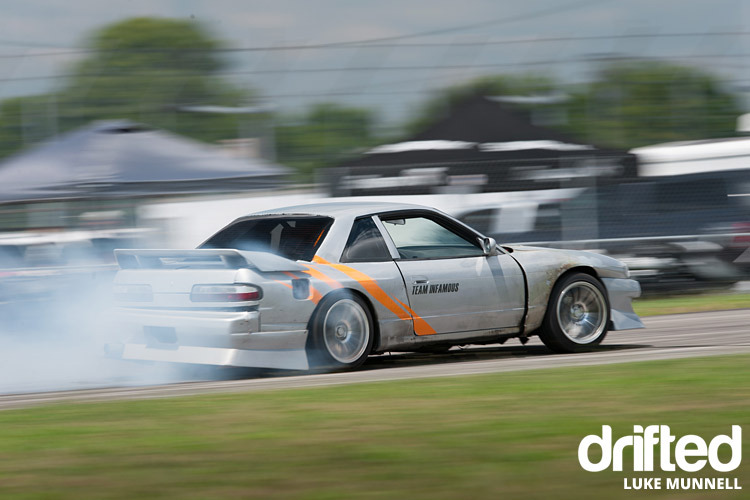 Like the previous two years, Street Driven Tour was met with a warm reception from Midwest drift enthusiasts at St. Louis’s Gateway Motorsports Park, as dozens of advanced pro-ams, local shredders, beginners, and pros took to the elevated five turns of the Gateway infield drift course. Showgoers proved their mettle as well, bringing out a wide range of show machines spanning the make/model/vintage/country-of-origin spectrum. 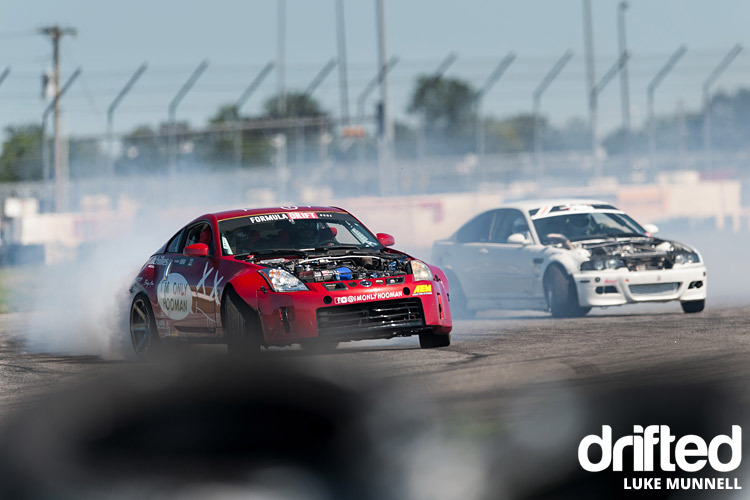 Drift veterans Geoff Stoneback and Steve Angerman provided professional support and ride-alongs for fans who purchased tickets, and while they put on a heck of a show, pro-am drifters from Formula Drift Pro 2, Midwest Drift Union, Turismo Drift, Lonestar Drift, and enthusiast wheelmen from Team Infamous, Rival House, Dream Style, #driftchitown and more proved they could hang door-to-door with the best. 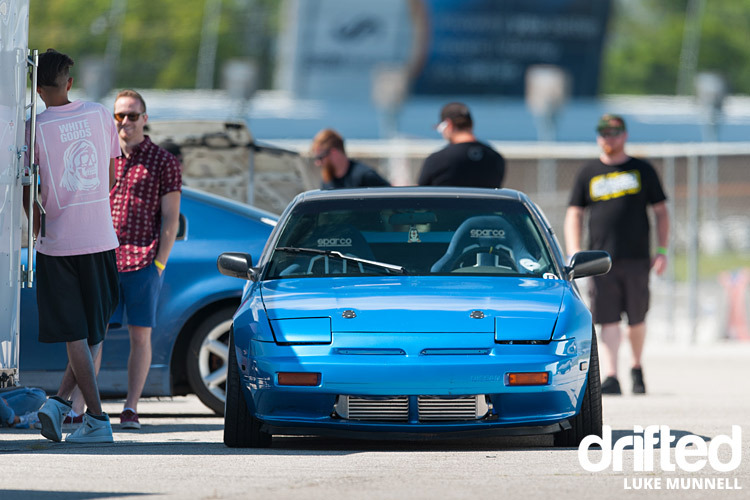 Drift machines of nearly conceivable configuration could be found in the Gateway pit garages throughout the day, including Toyota 2JZ and 1JZ-GTE-swapped S13 and S14 Nissan 240SXs, GM LSx and Ford 5.0-swapped S-chassis and FC3S Mazda RX-7s, a 13B REW-powered Mazda RX-8 former World Challenge car, a turbo/V8-swapped Lexus SC300, a turbo-upgraded E46 BMW M3, and Chrysler Conquest, and more—even a VG35-swapped S13. 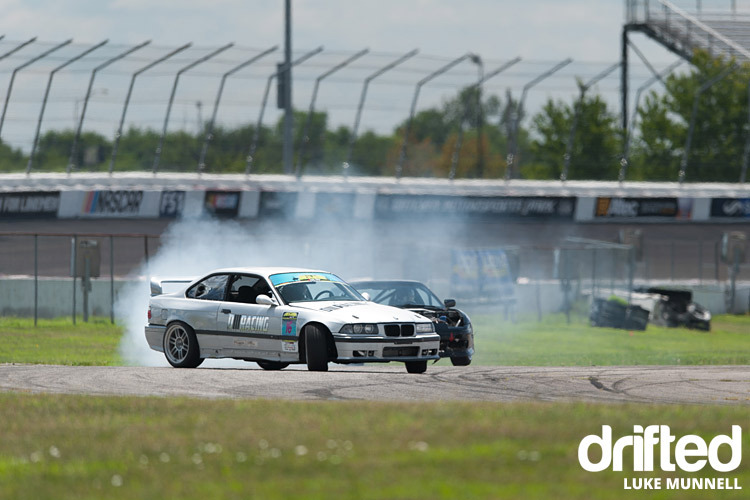 Car control high honors for area drivers were bestowed on Hooman Rahimi (red Nissan 350Z), Mike Feiock (white Mazda RX-8), Gus Buzas (white E46 BMW M3), Joe Lampe (blue Lexus SC300), David Mesker (silver E36 BMW M3), Kaz Johnson (teal S14.5 Nissan 240SX) and more for their consistently fast, stylish and smokey displays of drift prowess. 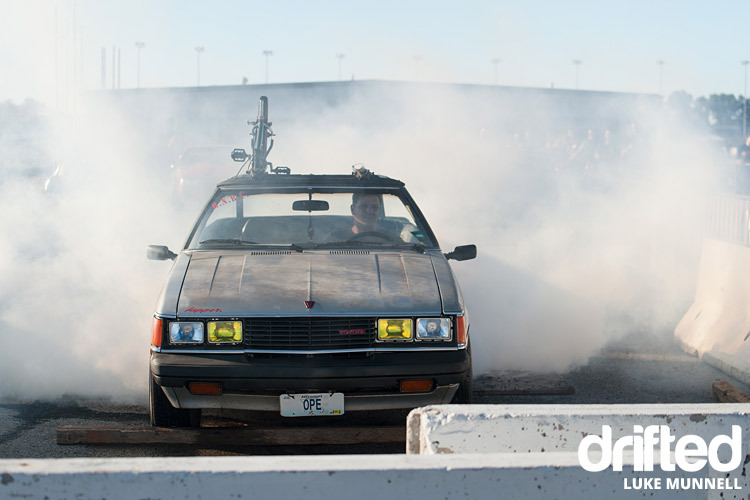 But no one killed tires quite like the wheelmen of Team Infamous, who ravaged their radials (and occasionally their radiators) in the Tire Massacre burnout contest. 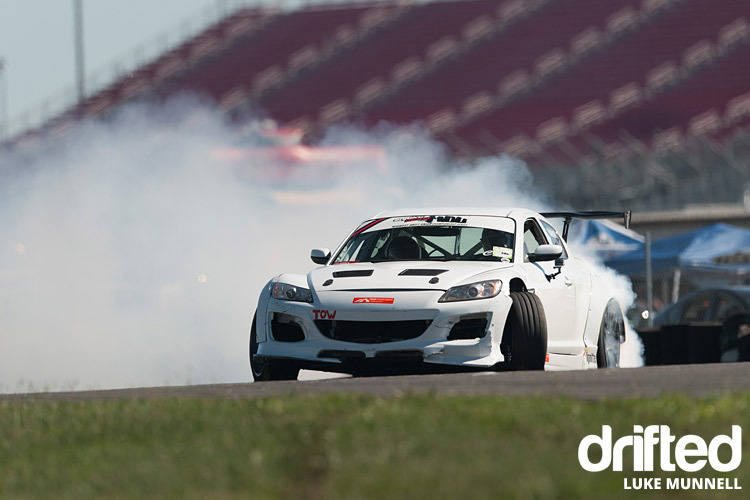 What of Street Driven Tour’s signature Drift Mini Games, you ask? 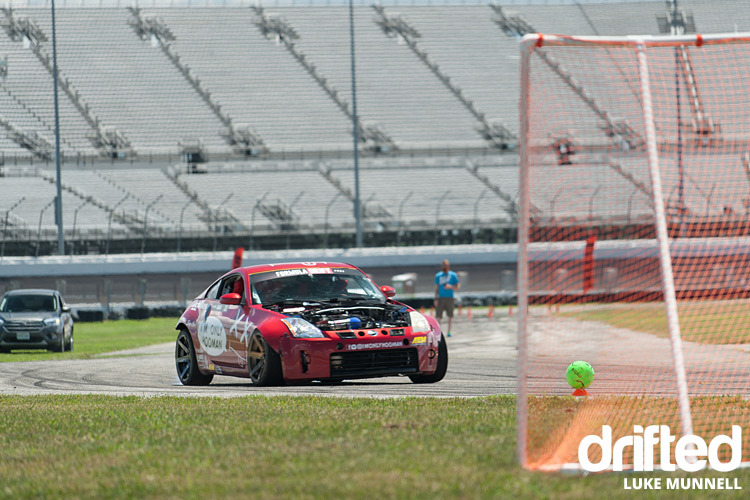 They were back, with two rounds each of Drift Soccer and the Hard Park Challenge. 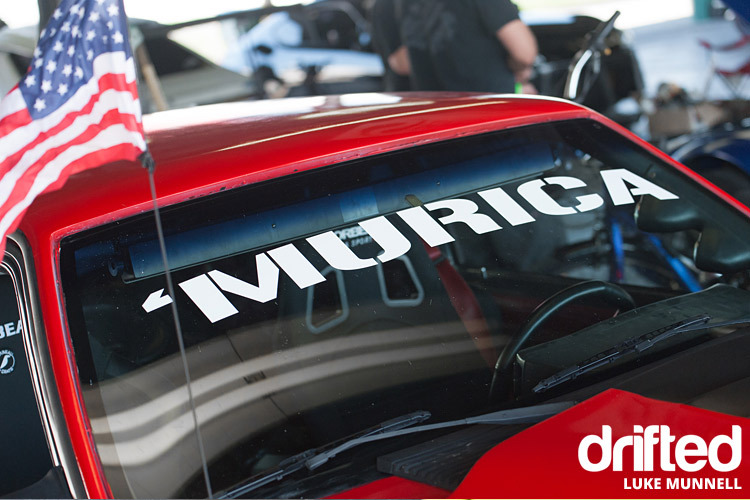 Street Driven Tour next travels West to what’s expected to be their biggest-ever show, at Las Vegas Motor Speedway in conjunction with Supra’s Invade Las Vegas and StanceWars Elite, just ahead of Formula D Irwindale, before rolling back East to Atlanta’s Lanier Raceplex to conclude their third successful season. 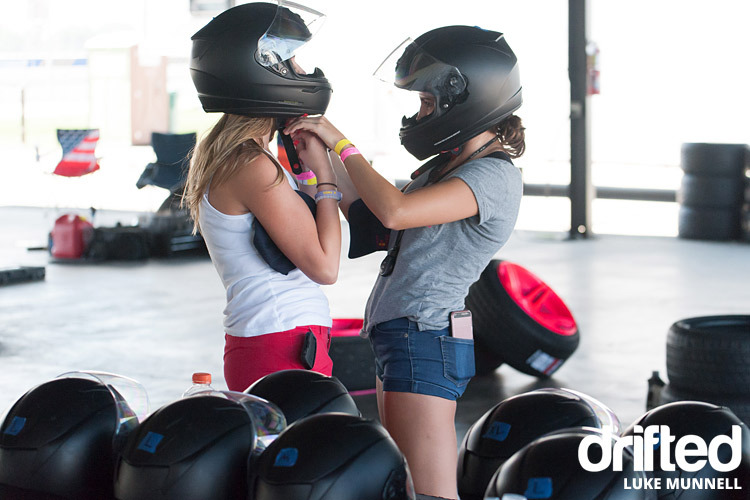 For tickets, ride-along passes, vehicle tech requirements, and all the details to help you take full advantage of the festivities, visit www.streetdriventour.com.